Recently my daughter Nyah who is 9 and son Kayden who Is 7 have been interested in helping me out in the kitchen. Over the summer I sent them to a cooking camp at Sur La Table and THEY LOVED IT! From that camp I felt that they were ready to help me in the kitchen. I have always been hesitent with them using the knife, peeler and can opener. I did not think they were capable, but to tell you the truth at this age they are. You just have to teach them the correct way and monitor them. 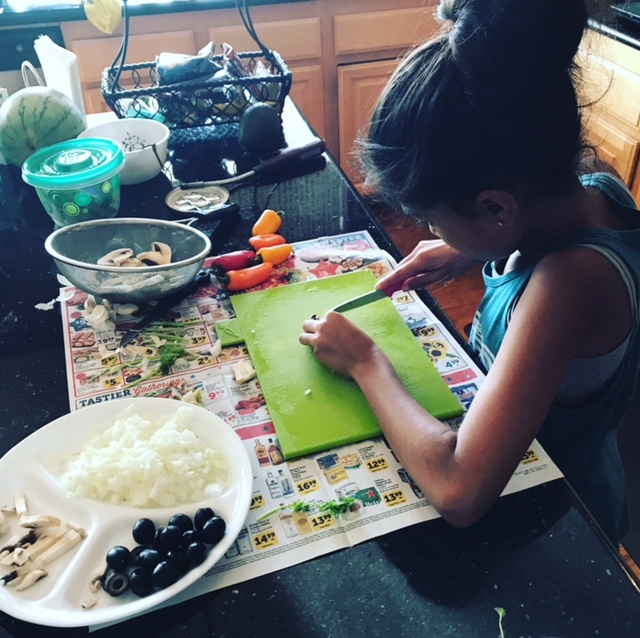 After feeling confident and having my kiddos in the kitchen including my 4-year-old who usually helps with stirring or adding ingredients I can finally say that it is so nice to have little helping hands.